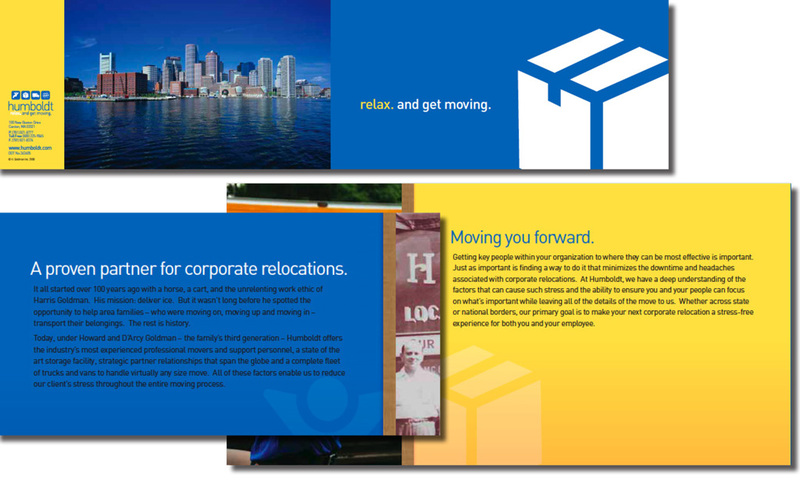 To promote Humboldt’s moving and relocation services to a corporate market. Humboldt is one of the nation’s most professional and reliable moving and storage companies. The brand positioning of Humboldt is completely centered on the idea of “stress removal.” In writing all the copy for this brochure, I wove that story in wherever it was appropriate. This was a collaboration with designers and brand strategists from Brand Identity Guru. This is the go-to printed piece that Humboldt uses to send corporate buyers information about their services. It’s an everyday “breadwinner” for the company.